Nokia’s return to the smartphone market is coming. We’ve known for a while that Nokia Technologies – the unit Microsoft didn’t buy and handles all the company’s patents – was aiming for a mobile return in 2016, and new render images have leaked what the devices may look like. The pictures show the C1 running both Android and Windows, but few other details have emerged. Since Microsoft took over Nokia’s phone business, the Technologies unit has released the Nokia N1 tablet (manufactured in China under a brand-licensing model and the likely model for any new mobiles), the Ozo 360 camera and Nlauncher alternative Android skin. The first man to be convicted of software piracy in a Czech court has been sentenced. The man, known as Jakub F, has been spared prison or a hefty fine, but only if a video of him admitting he was wrong gets enough views. Jackub was convicted of pirating software such as Microsoft Windows and uploading them to file-hosting sites. Microsoft said its losses were over $200,000, but realising he couldn’t pay, they instead made him record a video which needed over 200,000 views on YouTube in order to avoid paying up. “I thought that I wasn’t doing anything wrong. I thought that it didn’t hurt the big companies. I didn’t even do it for the money, I did it for fun,” he says in the dedicated site. “I felt in the warez community that I meant something. I was convinced that I was too small a fish for someone to get to me. But eventually, they got me. Even for me, the investigators came to work.” Luckily for the Jakub, the video now has over 400,000 views. Whether this fairly lenient and viral-headline punishment will become more common will be interesting to see. Can’t see it putting off many pirates though. Apple has acquired motion capture tech company Faceshift, Cisco has bought video startup Acano, Microsemi has officially sealed the deal to buy PMC-Sierra, and AfricanT services company Business Connexion now owns Oracle specialist ANCO-IT. 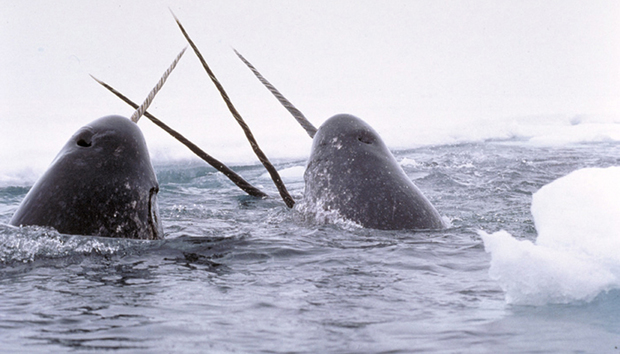 One Canadian CEO wants a special name for its country’s high-value startups, and thinks Canadian Unicorns should be called Narwhals. “It’s distinctly Canadian, found in the arctic waters off Canada,” said Brent Holliday, CEO of Vancouver-based Narwhal Garibaldi Capital Advisors. As a side note, I disagree with the term “Decacorn” for $10 billion+ valued startups. I get that they’re ten times better than a Unicorn, but I think they should be called “Pegacorns” instead; they fit in with the Unicorn myth and invoke a more epic image. Glassdoor has revealed which are the best Unicorns/Narwhals/Geldings/Pegacorns to work for if you’re looking for cash. Cloudera tops the list as the highest paying startup with a median annual base salary of $142,240. Jawbone, Medallia, Pinterest and Dropbox, AppDynamics and Okta are tech companies also in the top ten. Amazon – now a cargo company? Is Amazon running a secret air cargo operation? Going under the project name of Aerosmith, Motherboard reports that Jeff Bezos’ company has launched a cargo operation out of Wilmington, Ohio under the name Air Transport Services Group. The company reportedly has four Boeing planes flying out of the site – formerly used by DHL, FedEx and UPS – but Amazon neither confirms nor denies its involvement. Considering the high number of packages the company delivers and its interest in new technologies such as drones, the news isn’t all that surprising, and could eventually lead to Amazon becoming a rival to incumbent delivery companies. - Experts don’t think the recent Paris attacks should lead to government-sanctioned backdoors being stalled. - If John McAfee was president, his Digital Transformation Office would actively create cyber weapons to fight off other nations in cyberwars. Microsoft released its latest diversity report this week, and the news isn’t good. The ratio of women working at the company actually declined from 29% to 26.8% due to layoffs in its phone business. However there was progress in other areas: management is more ethnically diverse and there are more women in management roles. The taskforce set up by the FAA has issued a set of recommendations for new drone regulations. Although the final rules will be decided by the FAA themselves, the taskforce suggests anything over 250gram will need to be registered, abasic education course should be introduced (but not a flight test), plus the current rules of no flying at night, no flying beyond line of sight, and no flying over populated areas. The Guardian suggests some of the new rules could be implemented before the New Year – presumably before the swarm of 1 million gifted drones take to the sky on Christmas Day. Chinese dronemaker DJI has been busy of late. As well as shipping a UAV with a mini-supercomputer built in and releasing an update that allows the Phantoms to fly autonomously, the company has just announced a new drone for the agriculture industry. The Agras MG-1 is an octocopter which the company claims is "40 times more efficient" than manual spraying. Ever deleted something off your phone or computer, then regretted it? Then you may be suffering from Post Deletion Stress Disorder (PDSD). According to Western Digital, it’s a real condition, and something nearly half of us have been affected by. I think the chip maker may be hinting that you need more storage space, and maybe even a backup service or device. Before now, I wasn’t too worried about robots rising up and taking over the world. My job, possibly, but not the whole world. Now I’m not sure. Researchers at Tufts University have been working on teaching robots how to say no to human orders. In the video, the human instructs the robot to walk forward off the edge of the table, which the machine rejects due to the command being unsafe. The robot accepted the command once informed the human will catch it. In another test, it refuses not only to walk into a wall, but to disable its safety commands because the person is not authorised. It’s all getting a bit HAL-9000, isn’t it? The technology industry takes all sorts, but you wouldn’t think they’d be Pitch Perfect fans. An event on Facebook called Techapella will see singing teams from the likes of Google, Microsoft and Facebook come together and compete to be the best technology a cappella team. The names for some of the teams are pretty cheesy: Googapella, The Vocal Network, Airbnbeats etc. A quick YouTube search leads to some of last year’s incredibly wholesome (if not entirely tuneful) entries. You can also follow some of the individual group’s channels if you so desire. Covers of Toto’s Africa, The Killer’s Mr. Brightside and Gnarls Barkley’s Crazy are all worth a listen. « EU GDPR: Why are firms lagging on preparation?